If you’ve been to one Indian restaurant buffet you’ve been to them all. 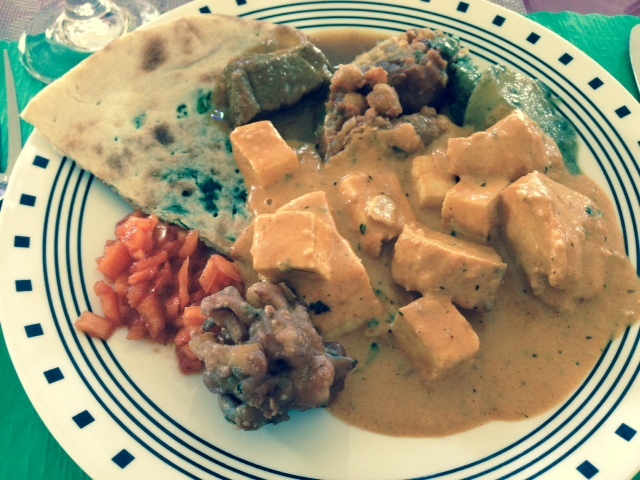 Most places make a decent chicken tikka masala or spinach paneer. I’ve been to some really bad Indian buffets, but most of them are pretty solid. The draw for most Indian buffets is their location — I usually pick one of the five I enjoy eating at based on where I’ll be before lunch or where I’ll need to go after. There’s one in Middleton, one on the far west side, one by West Towne Mall, one on the near west side, one right downtown and now one just opened up in Fitchburg. 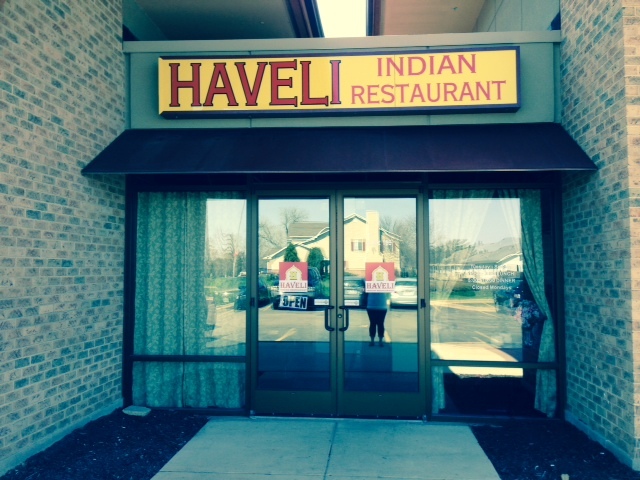 Haveli opened up on McKee Road in the same strip mall as Subway and Barriques. Haveli is on the end of the strip mall so it has a ton of windows, which makes the expansive dining room nice and bright. The signs are very colorful, which grabbed my attention. The buffet is off to the side and is broken off from the rest of the dinning room with dividers, which I really liked. They had pretty standard offerings on their buffet: chutneys, spinach naan, chicken tikka masala, paneer masala, beef curry and samosa chat. The perfectly firm paneer was great, and the creamy masala sauce had a good depth of spices that went really well with the spinach naan. The spinach naan was standard (I wish buffets could figure out a way to keep their naan crispy and not soggy). The onion chutney was a surprise. It had a good kick of flavor on top of the expected pickle flavor, which went really went on top of the beef curry. Samosa chat is samosas broken into pieces served with chana masala (a chickpea dish), yogurt sauce and chutneys on top. I’ve never seen samosa chat on a buffet. First, I’m glad they put it on the buffet so I could try it…I really liked it! 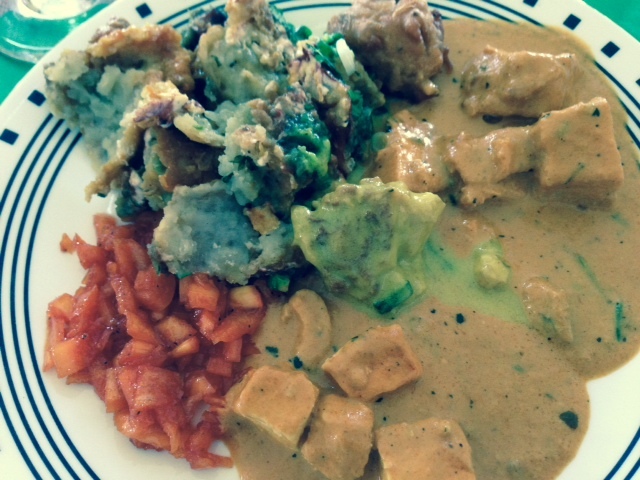 It is a lot of things on an Indian buffet that I like all in one dish. Second, I wish the samosas would have been a lot less mushy, but maybe that’s the only way to serve a samosa on a buffet. The sauces in all of the dishes could have used a little more spice, but none of the buffets I’ve ever been to serve up spicy dishes. 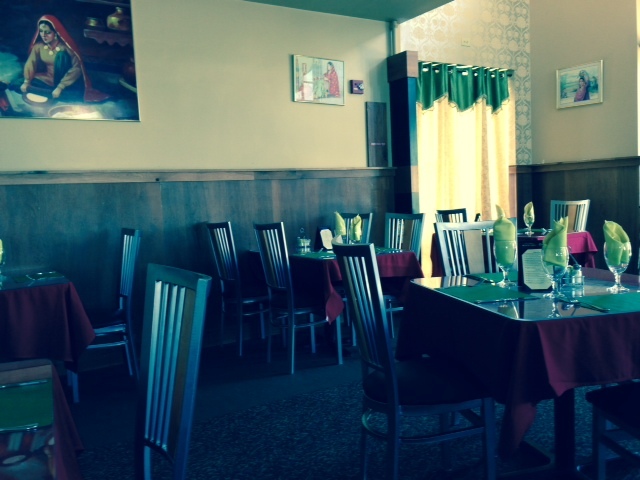 FOOD NOTES: Haveli is a very respectable option for Indian food if you’re in the Fitchburg area. I applaud them for putting samosa chat on the buffet, which is not a typical buffet dish. Haveli’s traditional buffet offerings (chicken tikka masala, paneer, naan, beef curry) were decent, but their masala sauce had a deeper layer of flavors than most buffet masala sauces. The onion chutney was also better than normal with an extra spiciness. The other unique thing about Haveli is that their buffet is $8.95, which is a dollar less than all of the other Indian buffets…not a very significant amount, but could still be part of the decision-making process if deciding between two buffets.